We are a reputable travel & tour company in Morocco with a strong presence globally with our clients. We offer the most comprehensive range of Marrakech one day trips or multi day Morocco private desert and Imperial city tours. You can book a single one day tour or create a multi day itinerary combining all tour types. This flexible option allows you to customise your touring experience exactly to your specifications and requirements. Reservations are required. Please complete the form or send us an email / give us a call to speak with our tour sales manager. All clients must make a reservation in advance. As a rule, we require a deposit payment. To request a group tour, please email us your name and contact information (email, office phone and cell phone number) with as much details as possible including Total size of group , and Preferred travel dates. We require 100 Euro deposit payment for your selected Morocco trip or excursion. For day trips we require 50 % deposit payment. Please contact us for your preferred deposit payment method. If you cancel 30 days or more before the start of the tour: No cancellation fee. If you cancel 30 to 14 days before the start of the tour: 50 % cancellation fee. We will refund the half amount paid. If you cancel 14 to 7 days before the start of the tour: 25 % cancellation fee. We will refund the amount you paid. If you cancel 7 days to the 1 day of the tour start : 100 % cancellation fee. We will not refund the amount you paid. Please chose your PayPal deposit payment amount, then click on the picture “CLICK TO PAY NOW” and add your PayPal log in details to proceed the payment. 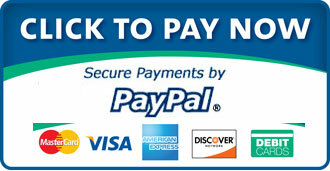 If you do not have PayPal account, feel free to create one by clicking on “CREATE AN ACCOUNT” and follow instructions. Thank you. If you need any assistance, feel free to contact us by WhatsApp , WeChat or email.